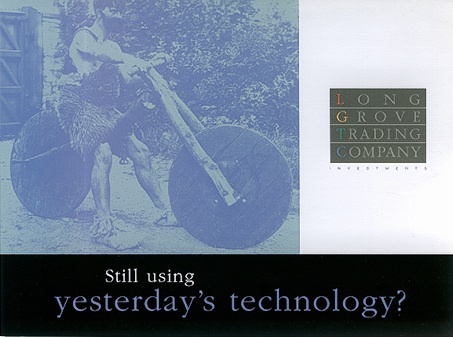 To recruit new financial advisors to switch to Long Grove as their broker/dealer, this series of 5 postcards took shots at five weaknesses shown by their current b/d: poor technology, lack of strategic insight, hyperfrugality, inability to boost morale, and general cluelessness. 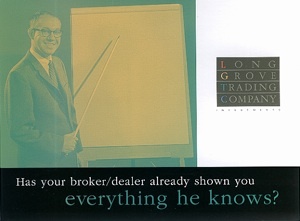 In 2002 I recommended renaming Long Grove as Waterstone Financial Group. In 2007 Waterstone Financial Group was acquired by LPL Financial.